Wilma is a very pretty mare with a winning hunter trot! Wilma's dam was a fancy Welsh cross who also had a great trot. 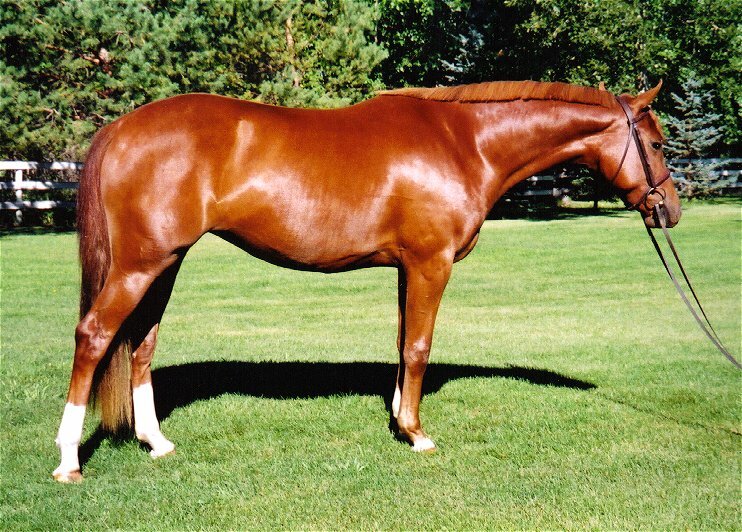 She is by a small Hanoverian stallion who has excellent hunter qualities: conformation, trot, and form over fences! 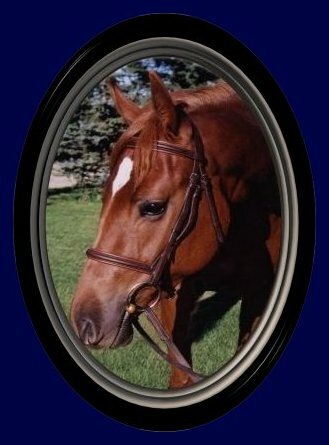 Wilma should mature at 15.1 - 15.2 hh like her half brother Mask (see Grand Phantom on Sold page). She is developing a very endearing personality and will make an exceptional competition mare. Congratulations to Wilma's new owner in Bermuda.